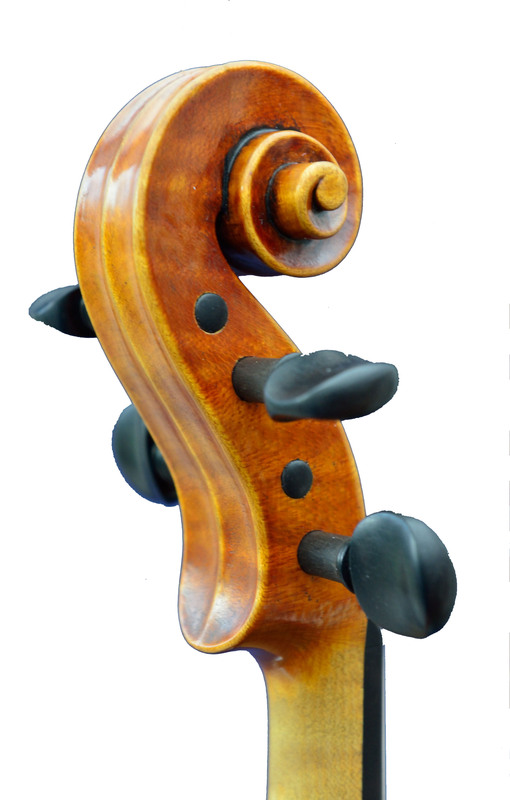 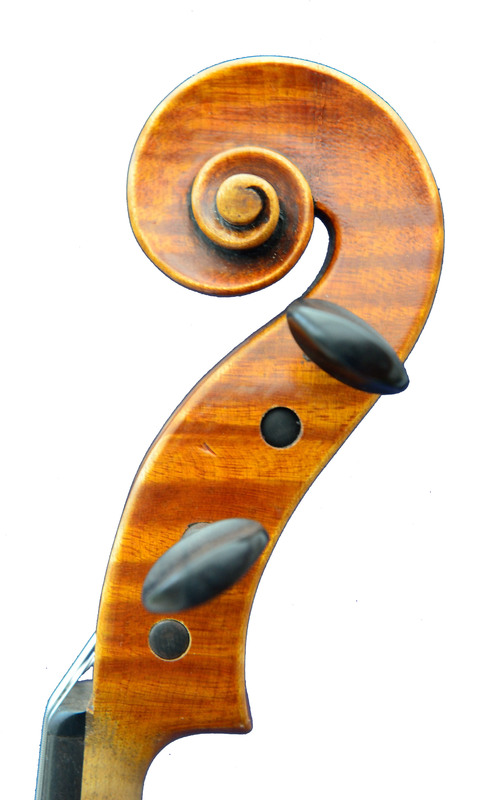 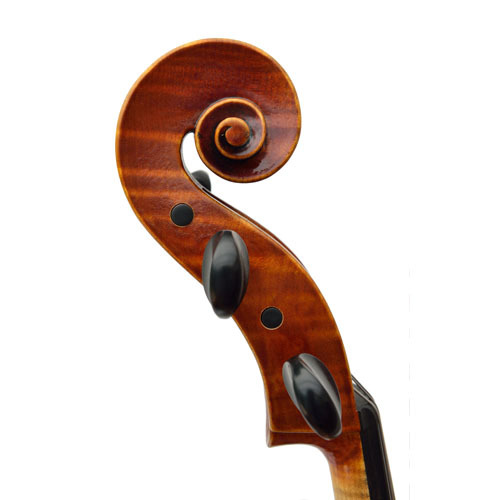 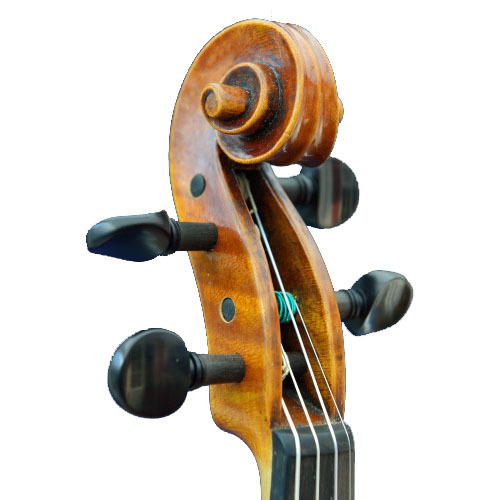 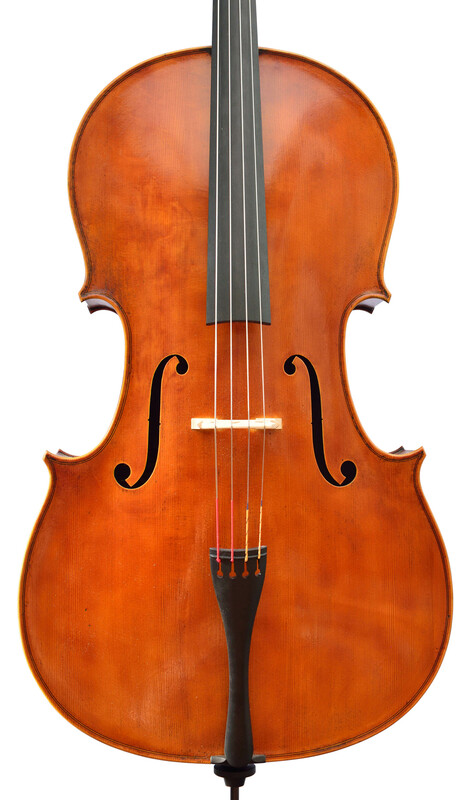 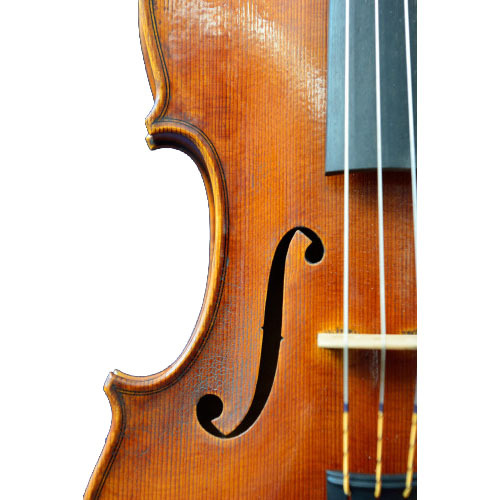 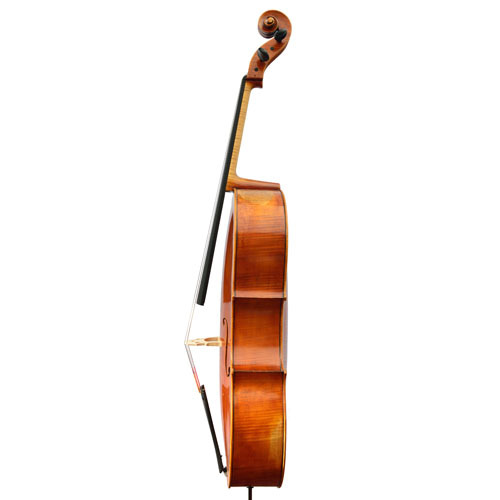 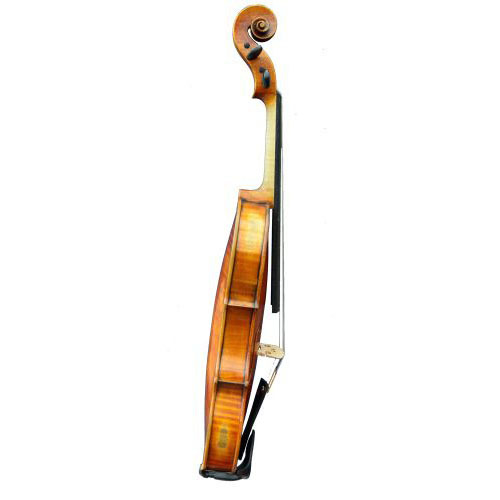 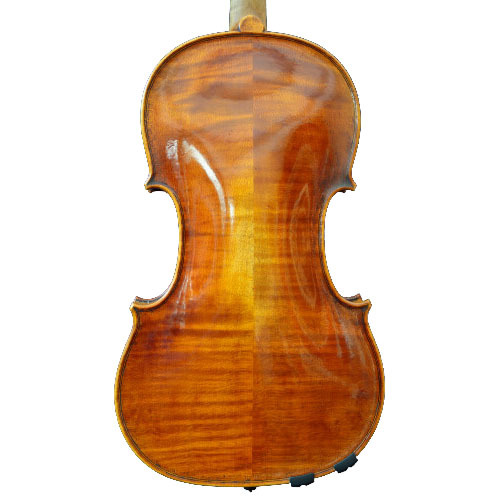 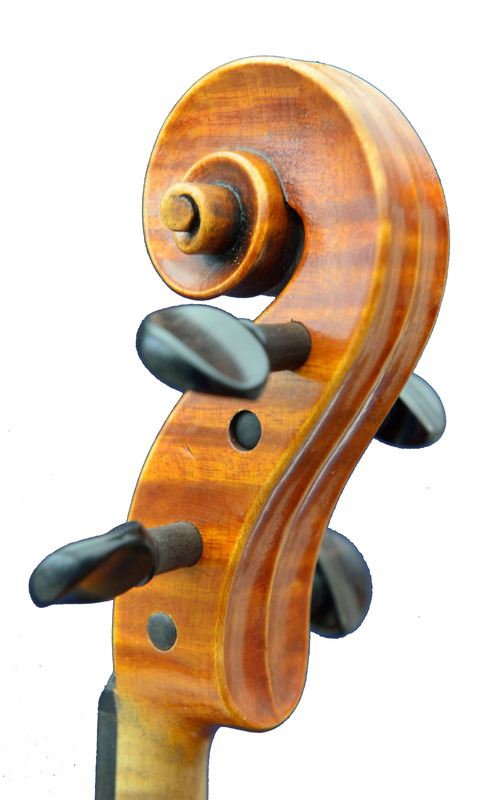 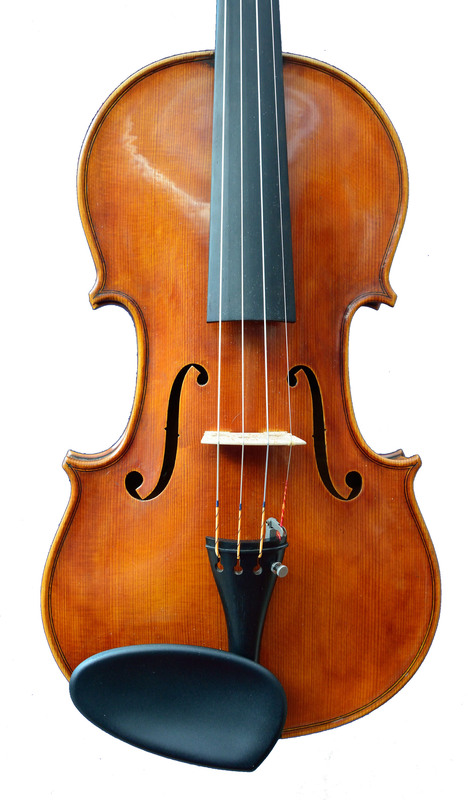 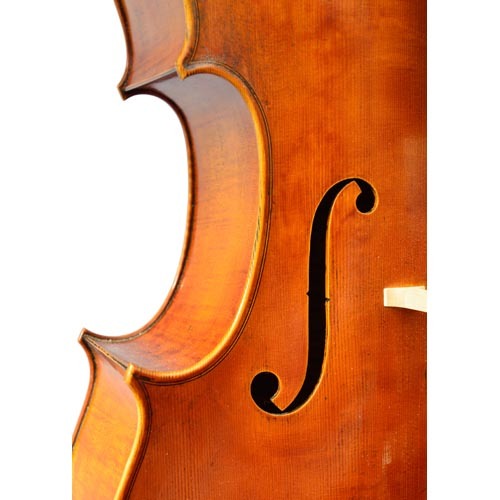 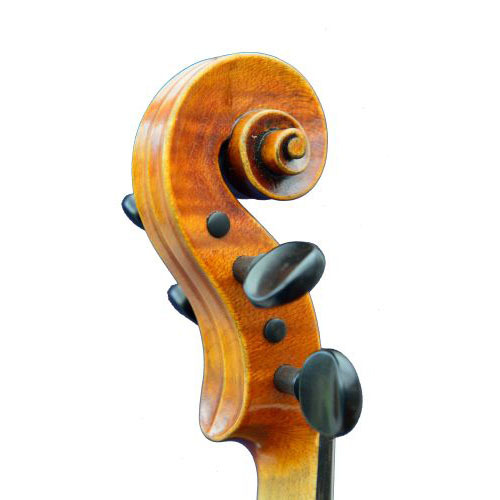 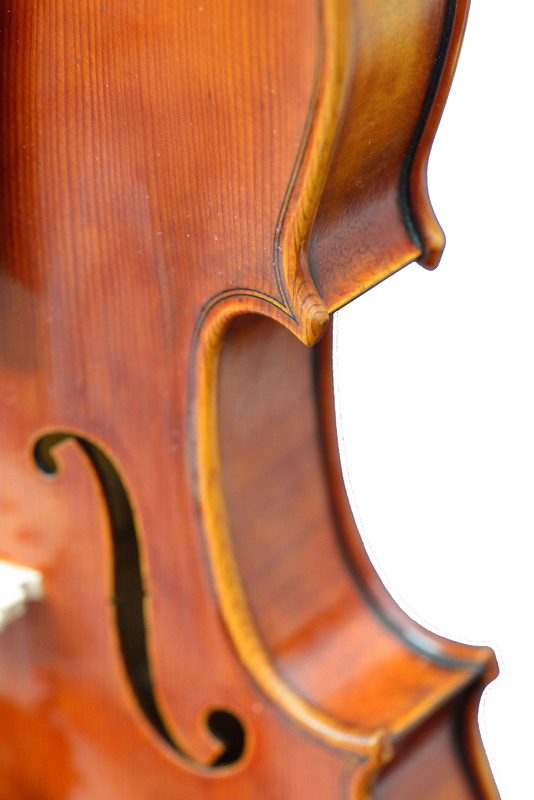 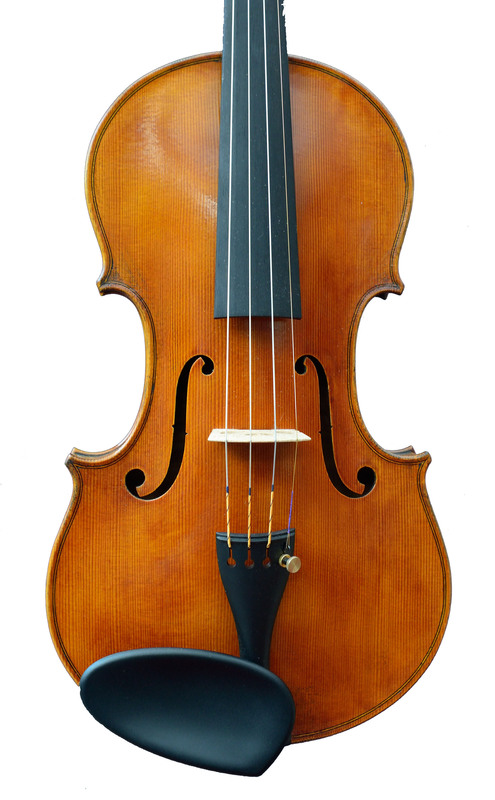 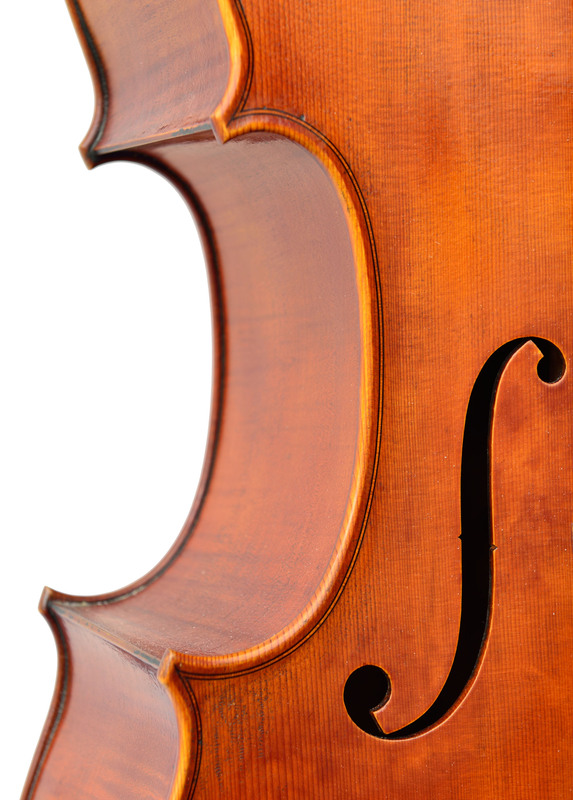 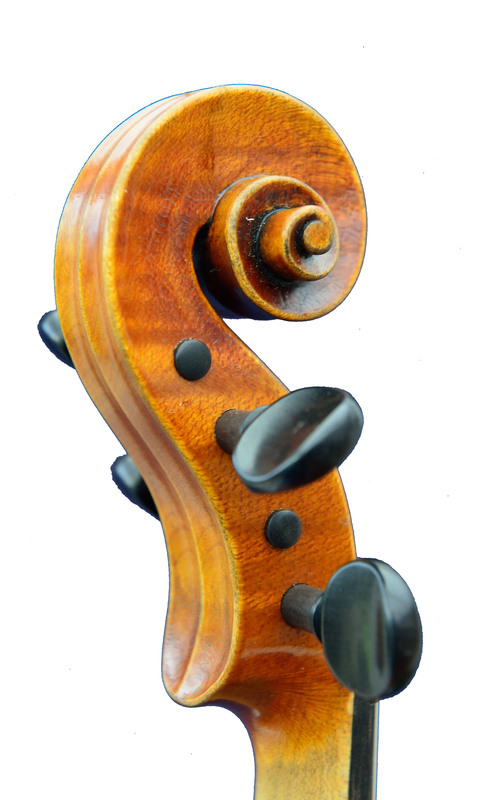 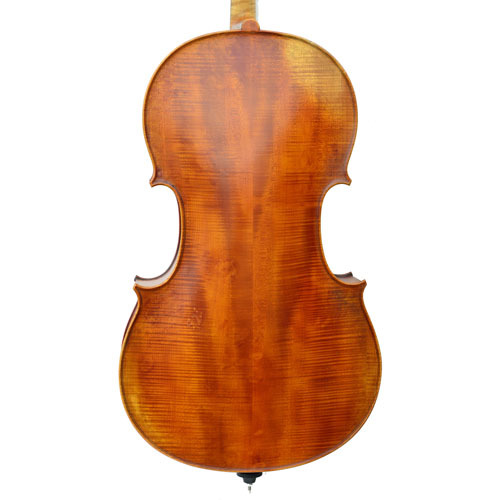 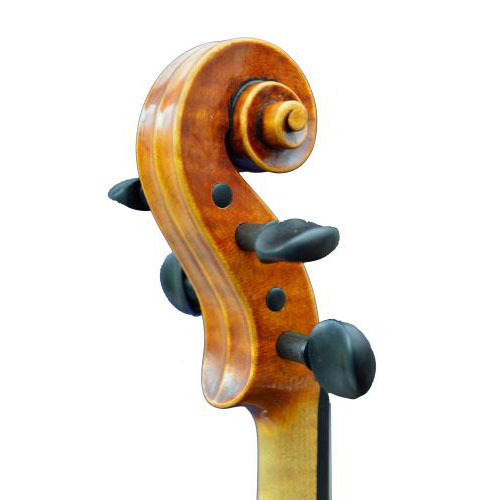 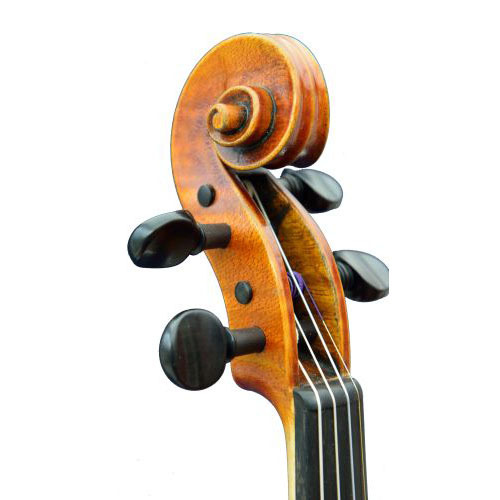 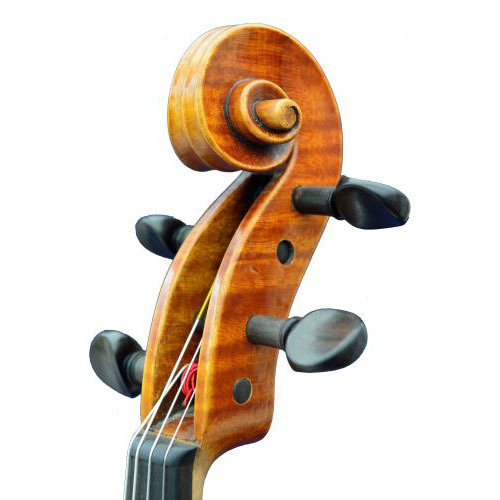 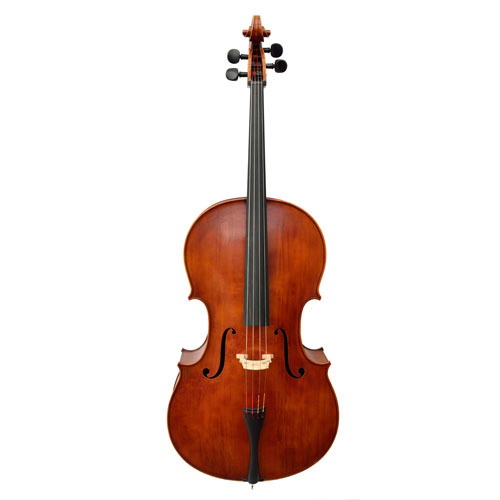 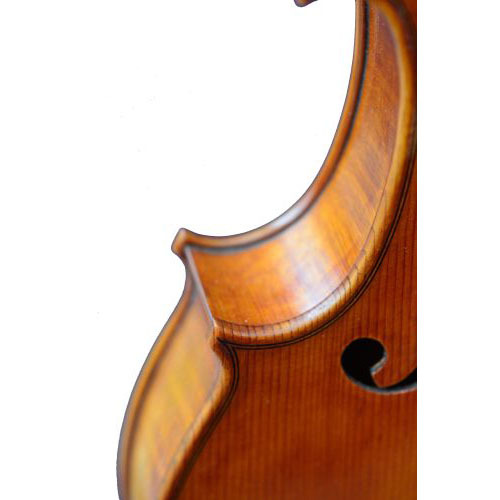 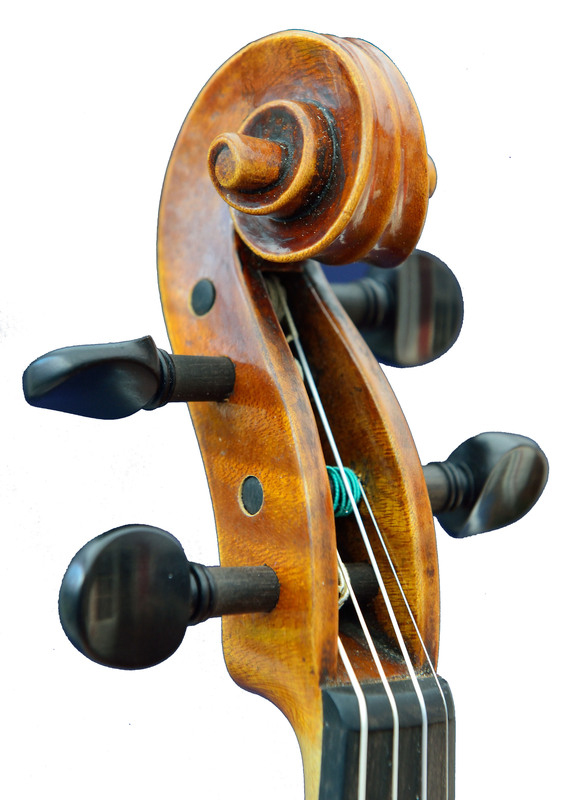 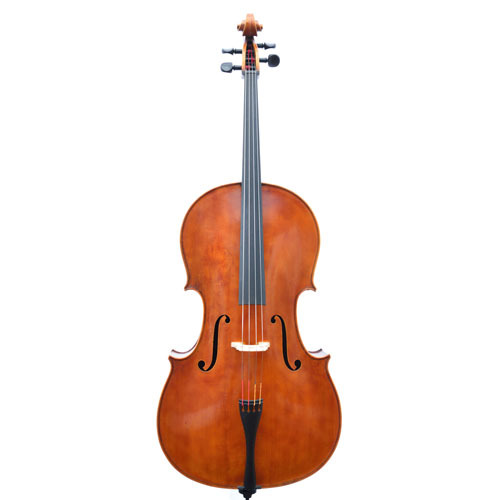 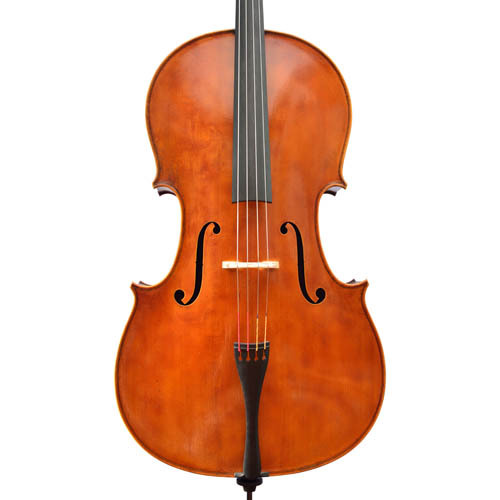 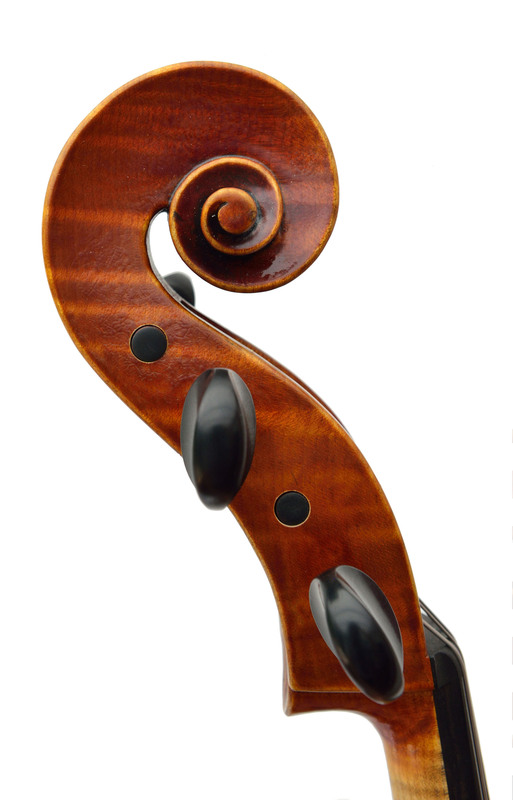 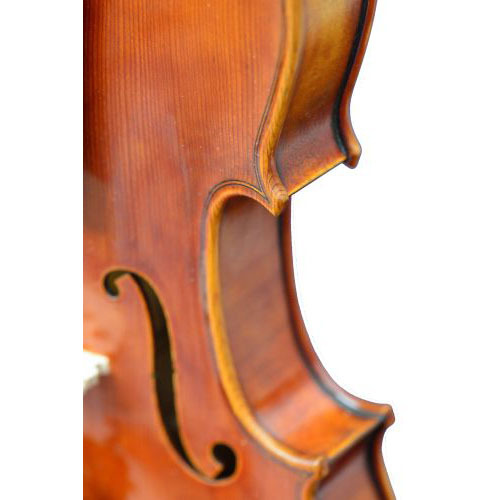 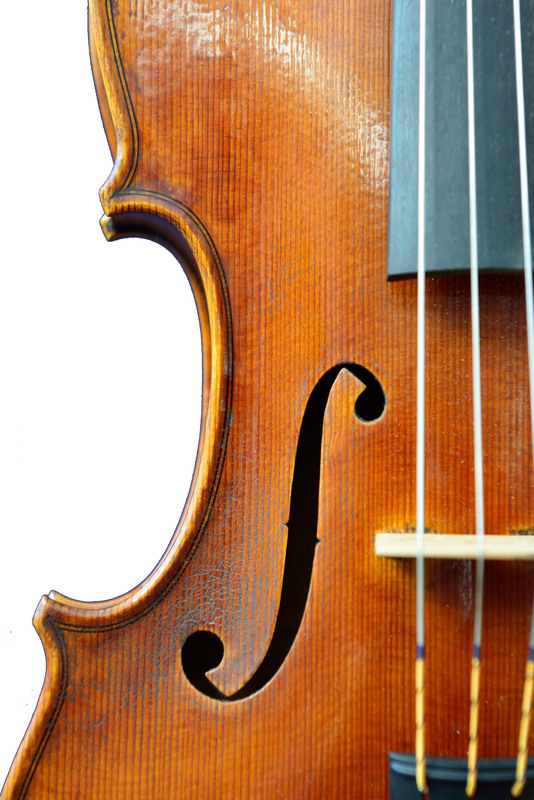 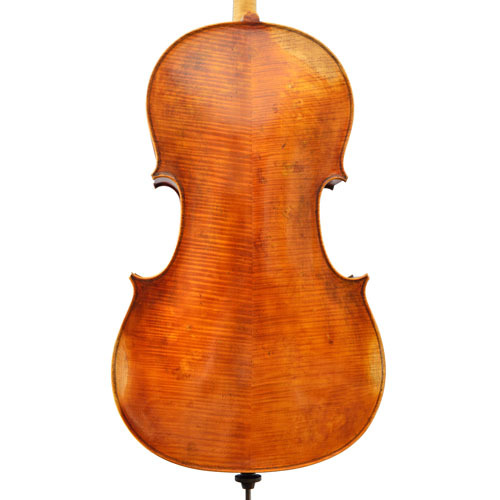 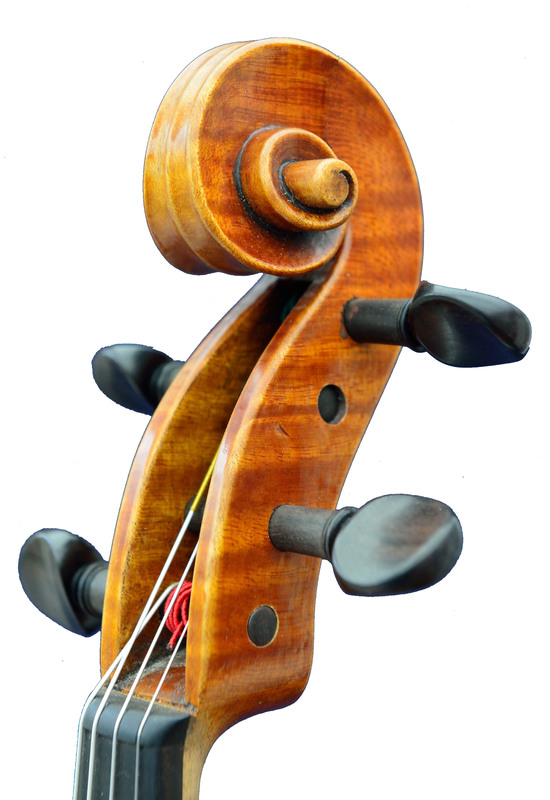 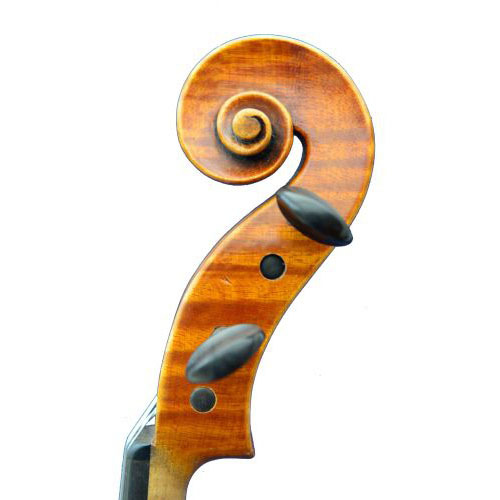 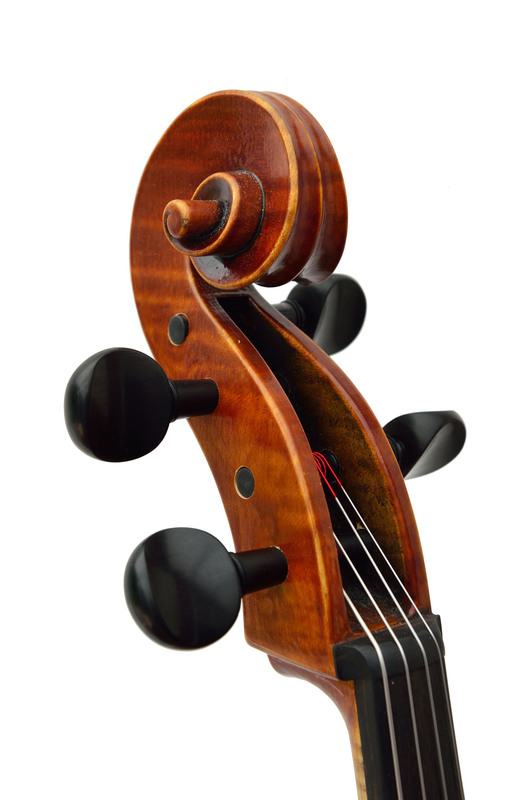 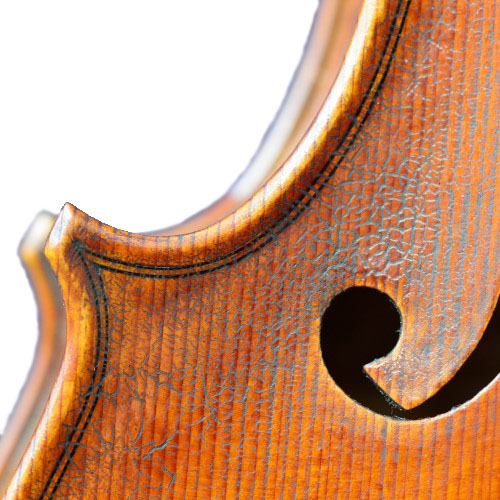 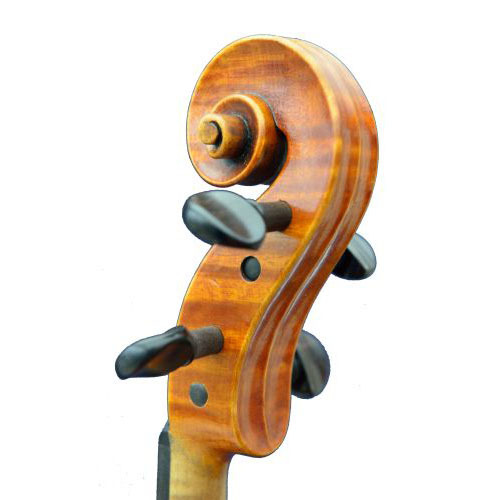 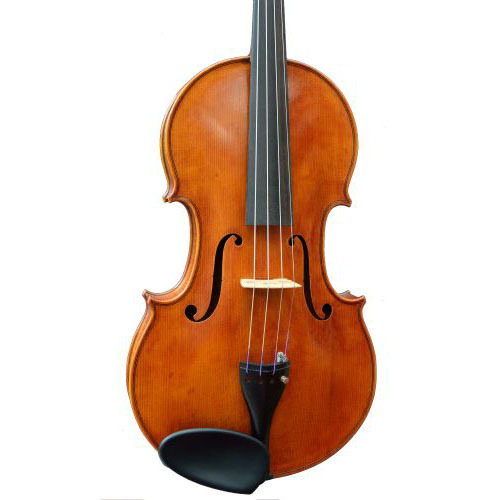 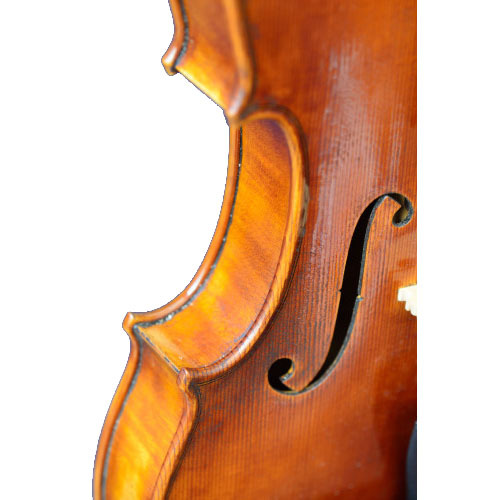 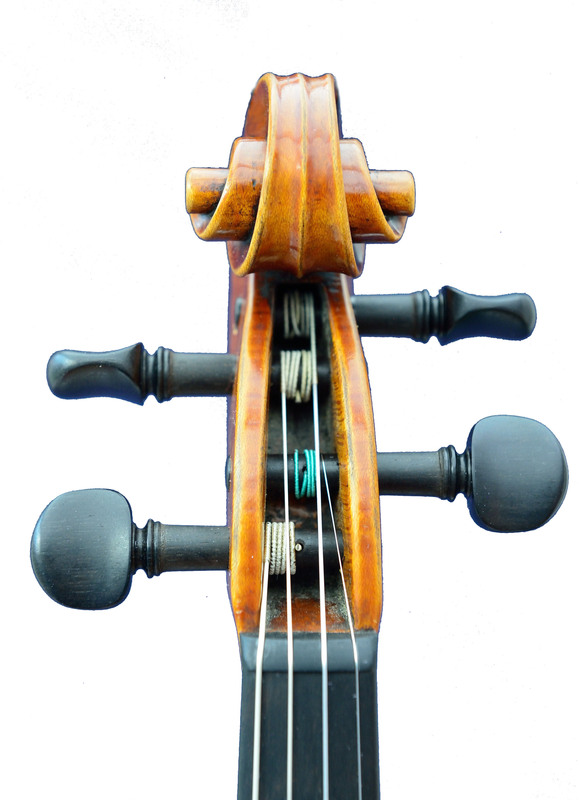 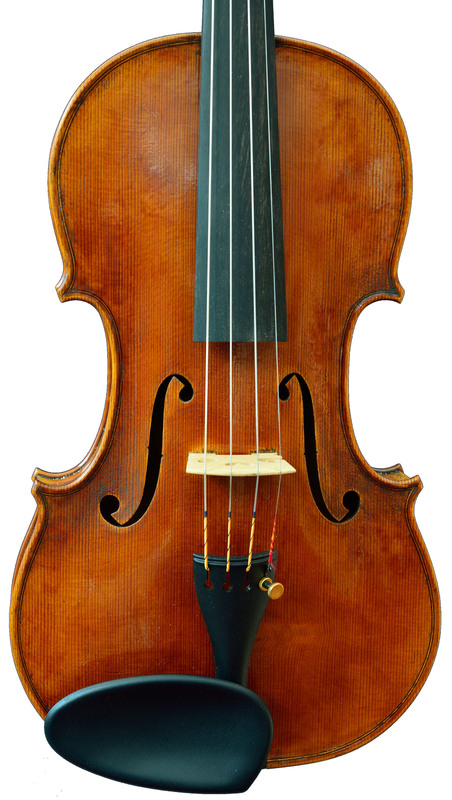 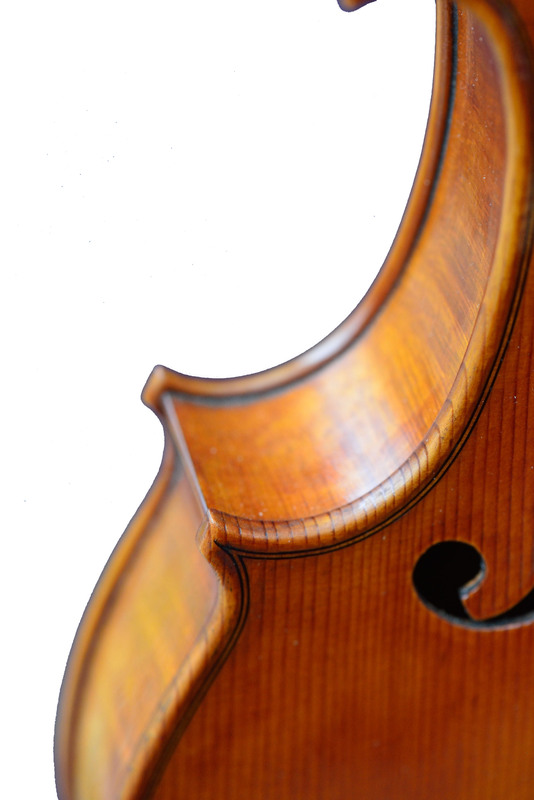 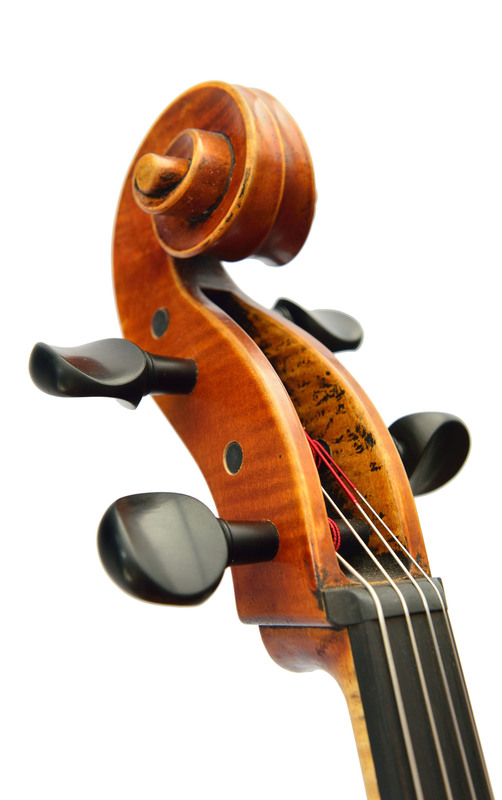 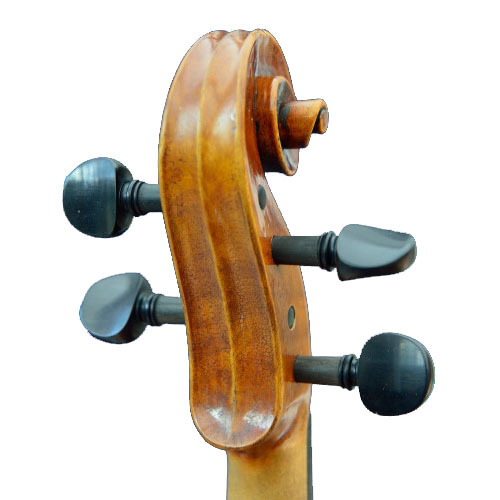 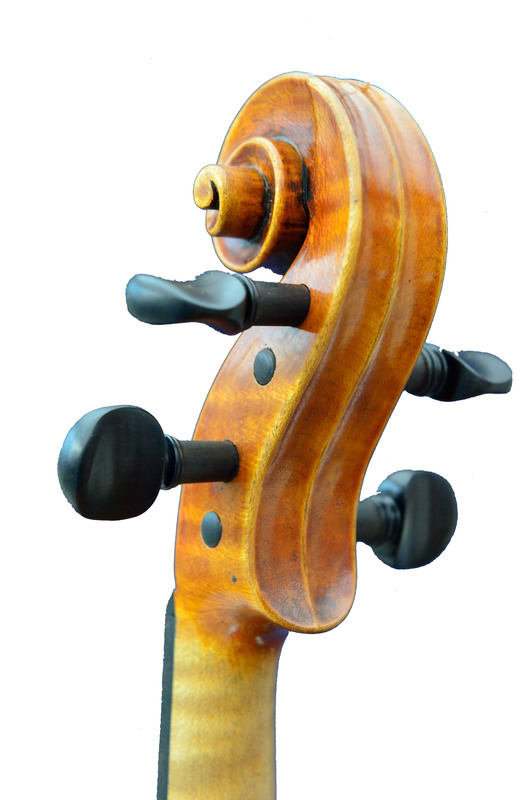 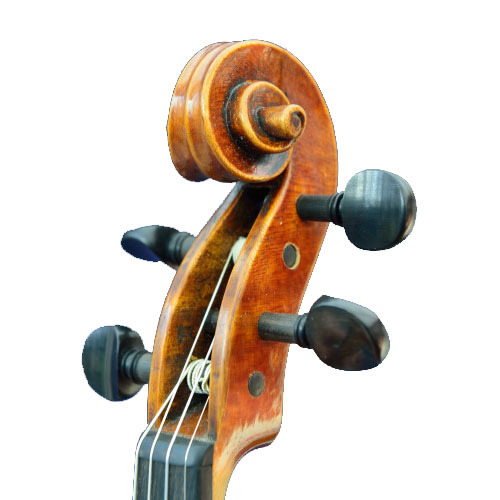 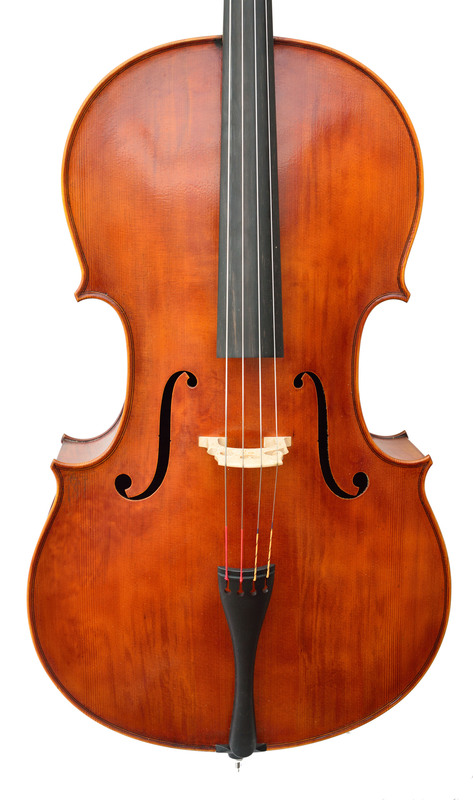 Handmade violins, violas and cellos. 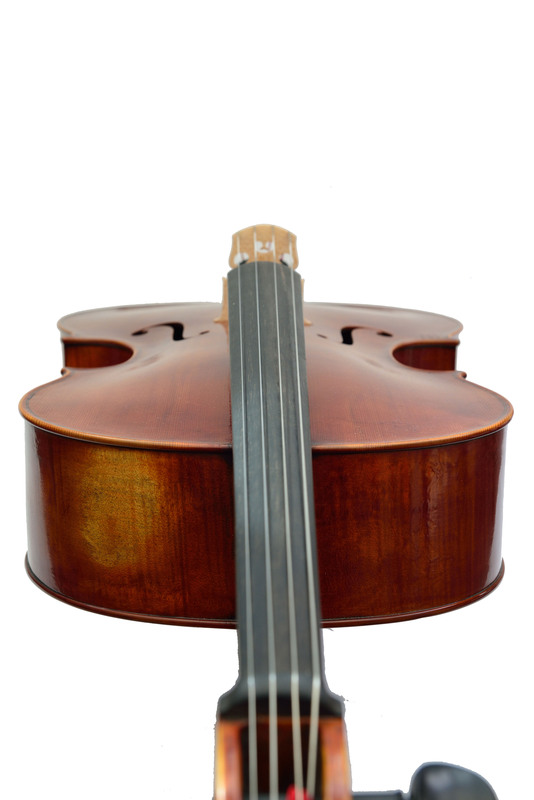 Newly built from carefully selected European tone woods, using traditional methods. 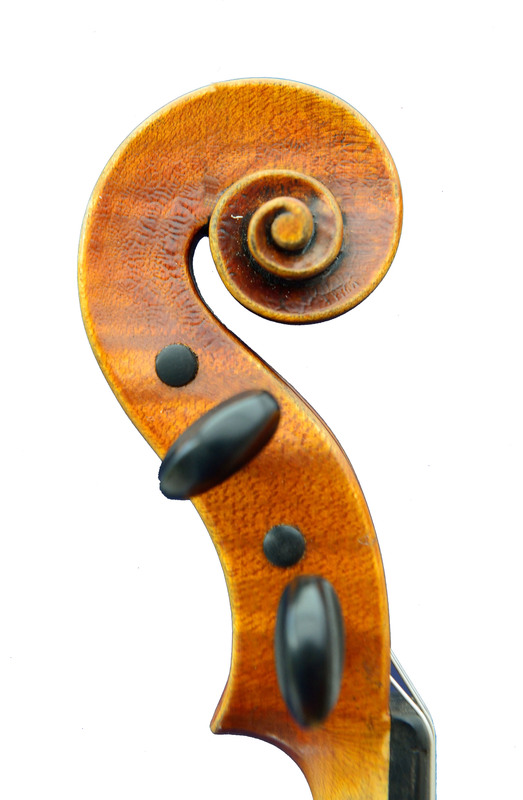 Creativity and quality are key elements in his life. 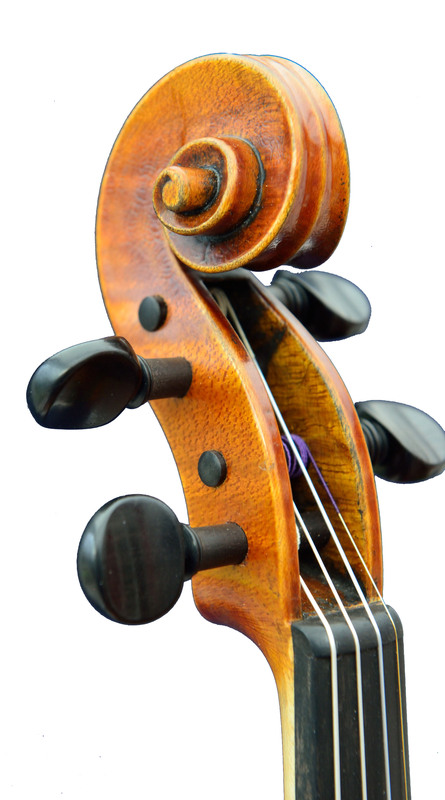 It all started in the basement of his parents’ house, where he made small oak wooden boxes, decorated with traditional Friesian woodcarvings with only simple hand tools. 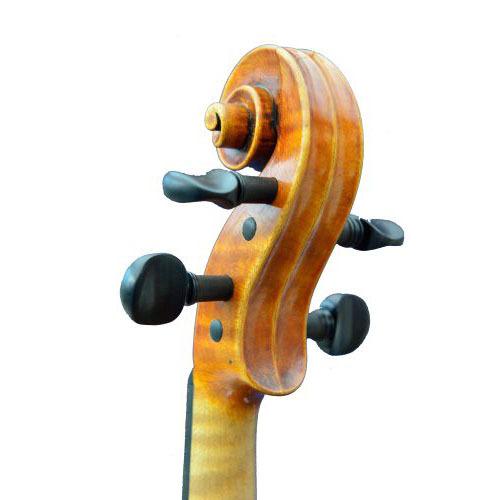 Alongside his education as chemist and his professional career as a manager in product development and marketing he always found additional inspiration in other activities. 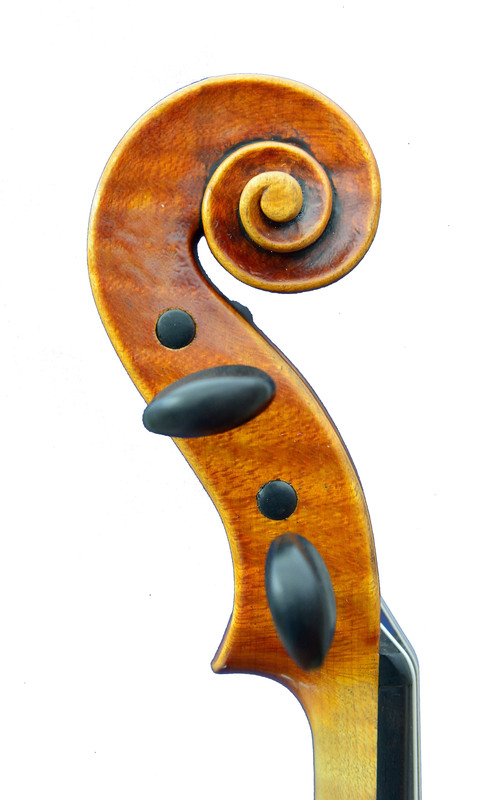 Playing cello, mountaineering, ceramics and photography: he is constantly looking for new challenges. 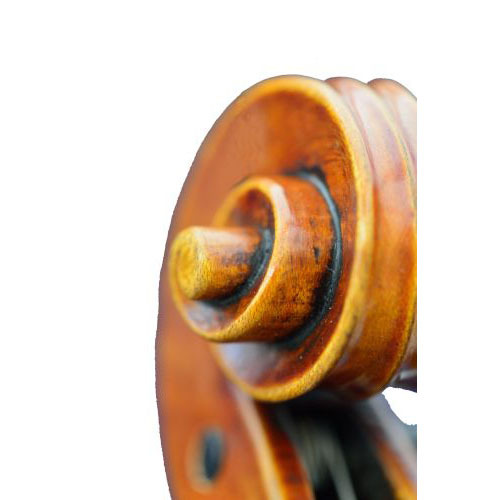 Challenges that inspire him to search for solutions, to learn new things. 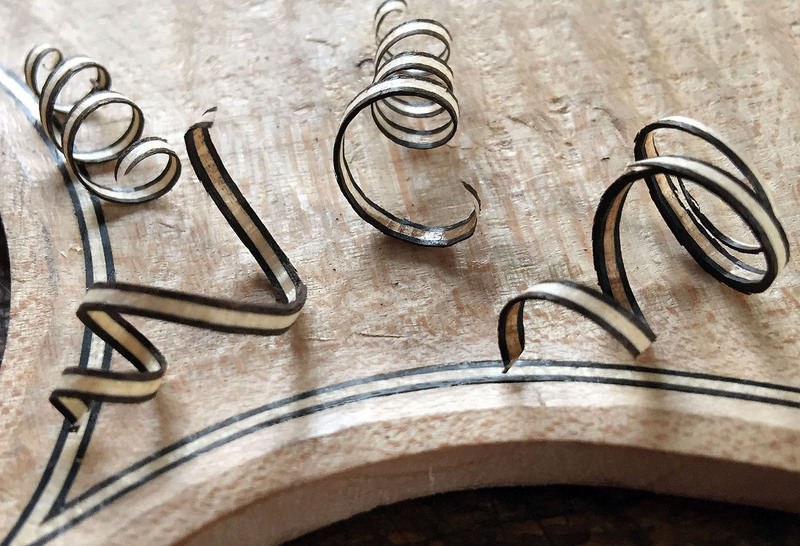 Lutherie is a craft that combines woodcarving, with the love for music, a continual search for perfection and improvement, the beauty of playing your own hand built instruments. 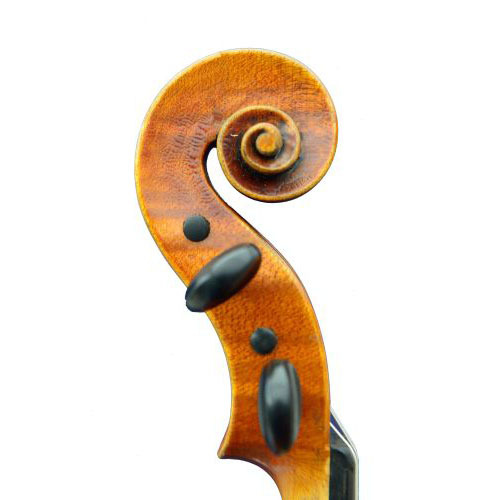 A true passion found! 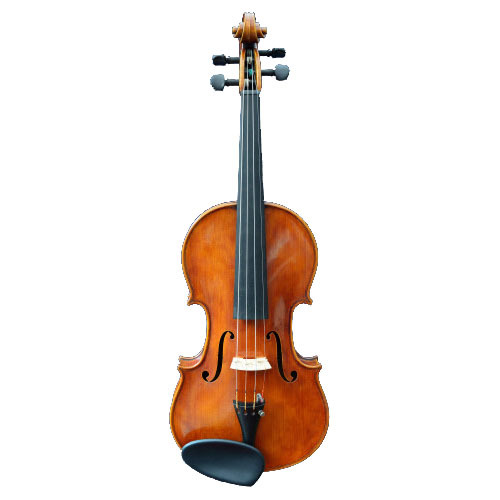 What better reward can be found, that of reaching one's own exacting demands, but also those of others be they builders or musicians. 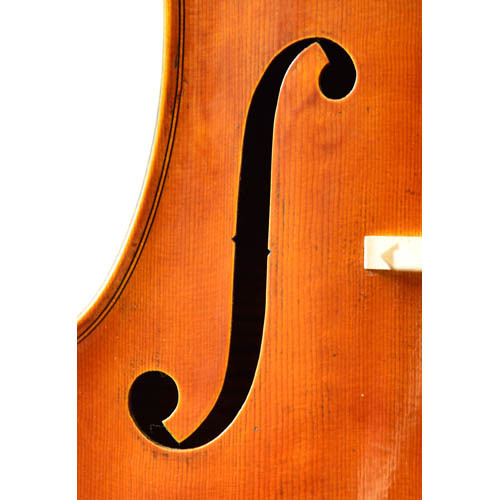 That is exactly his mission: to build instruments that can inspire and support musicians in their profession to make beautiful music. 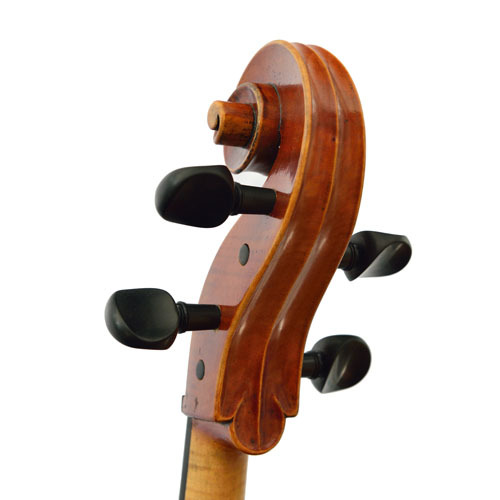 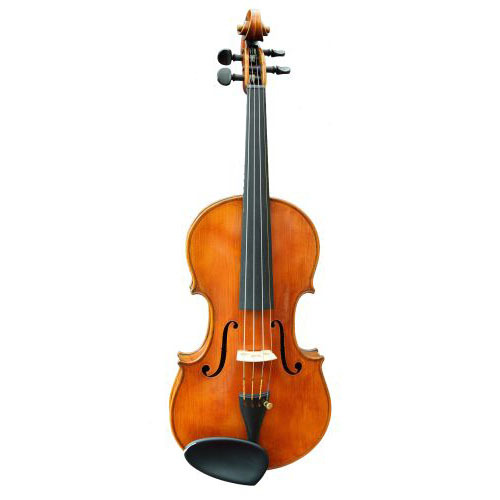 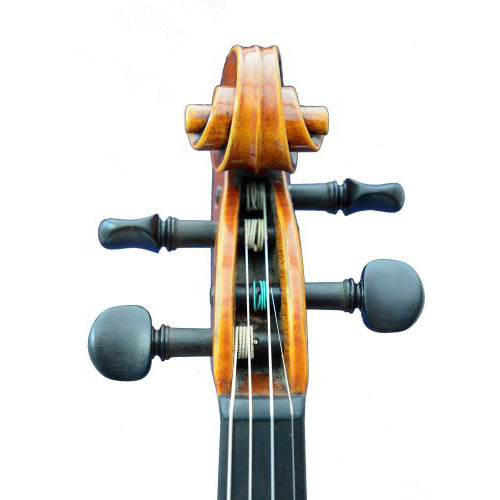 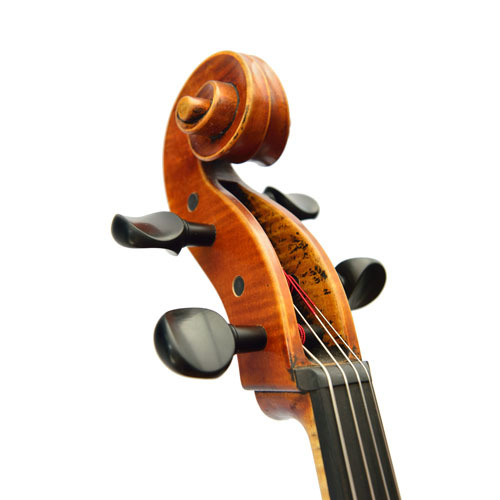 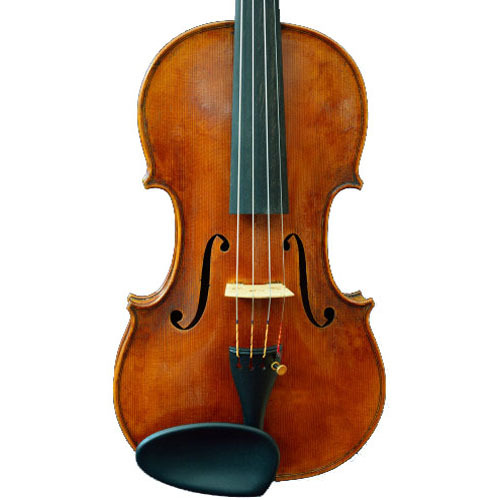 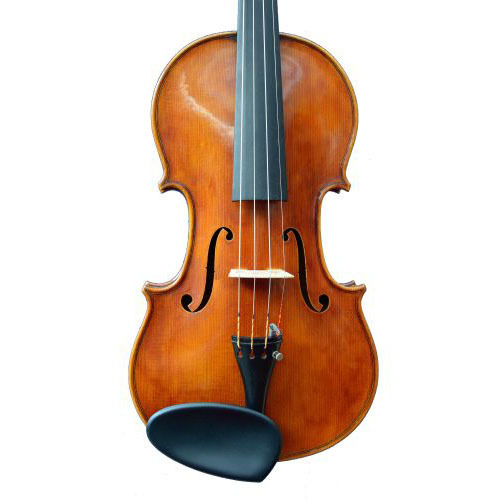 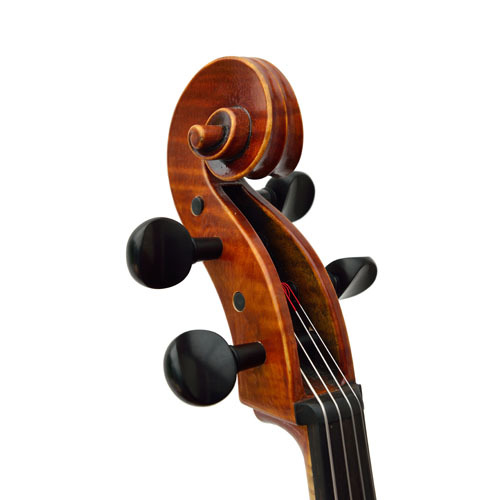 Instruments that can compare with the best instruments build since Amati’s times. 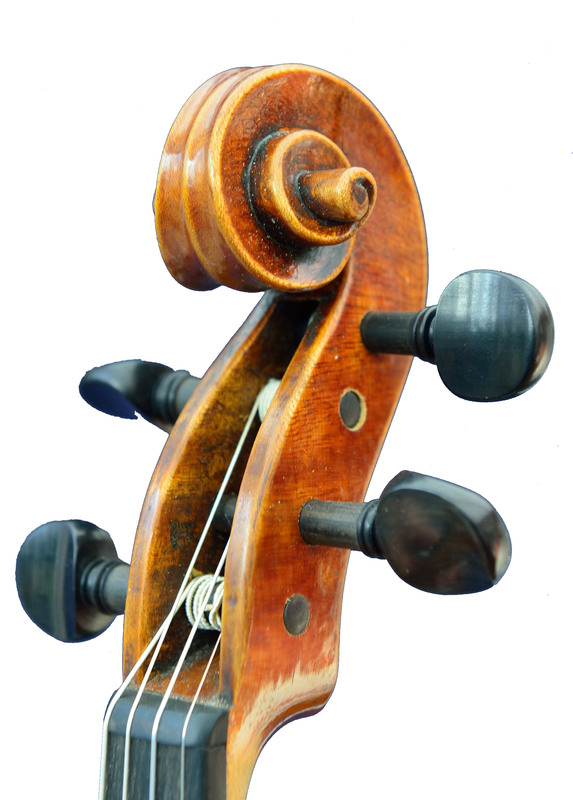 Hans-Peter builds his instruments using traditional technologies. 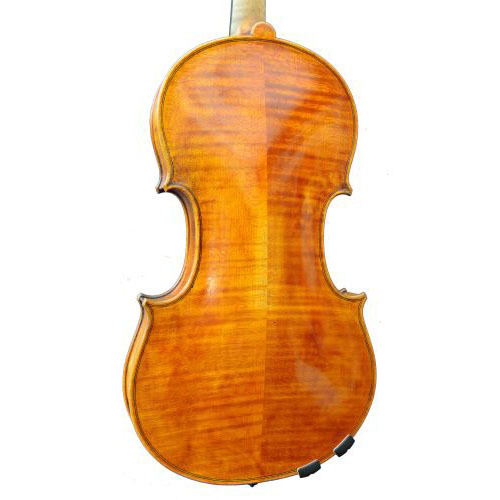 He follows the building process of his teacher and coach Bernhard Zanders, a long-time successful master violinmaker (Geigenbaumeister) with a workshop in Hinsbeck, Nettetal, Germany. 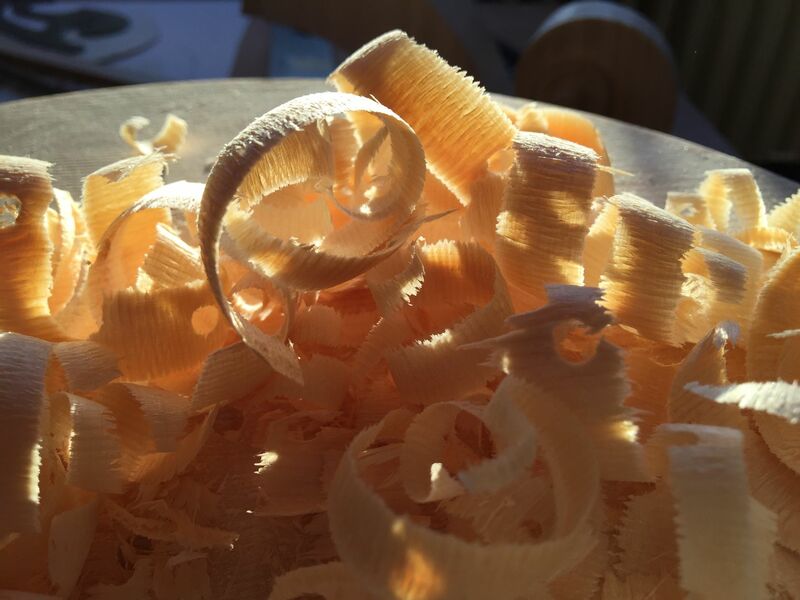 Wood is selected carefully and seasoned properly before use. 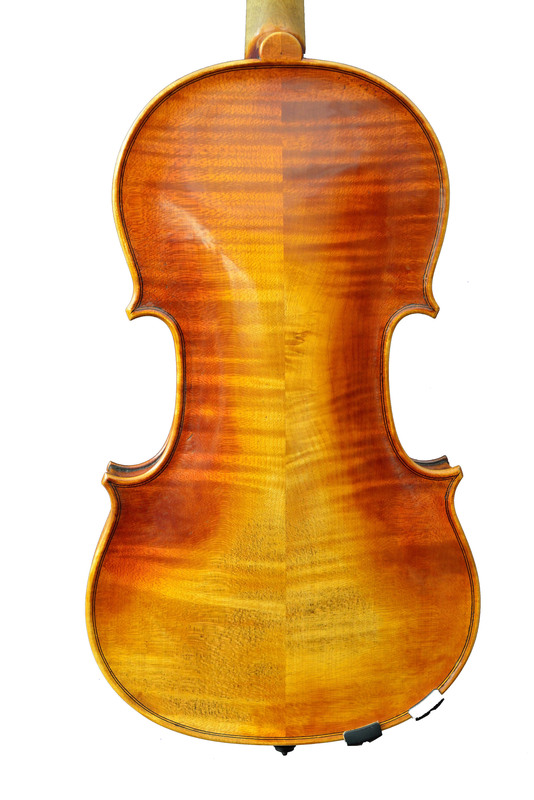 As a fairly new luthier, this is a challenge, but the right wood can be sourced from older stocks via friendly colleagues. 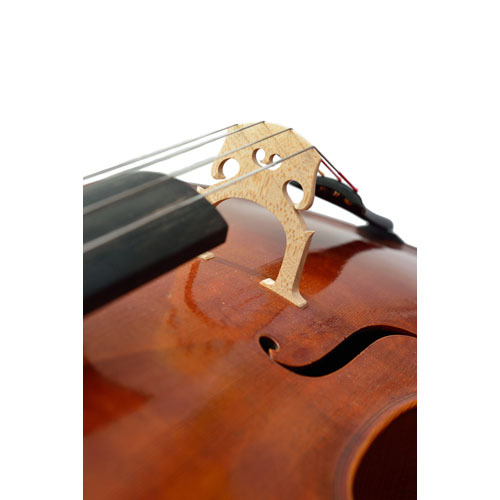 Special care is applied while creating the instruments arches and thicknessing of the plates. 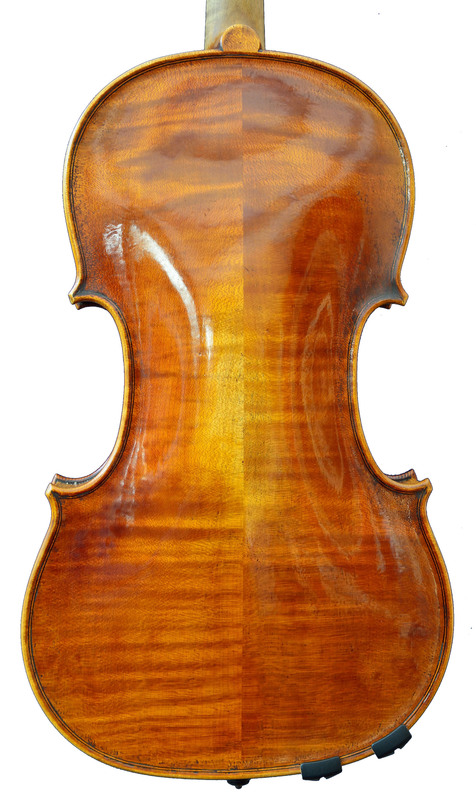 While understanding the advantages of modern technology to support luthiers in measuring the characteristics of the plates, he prefers to work with original methodology. 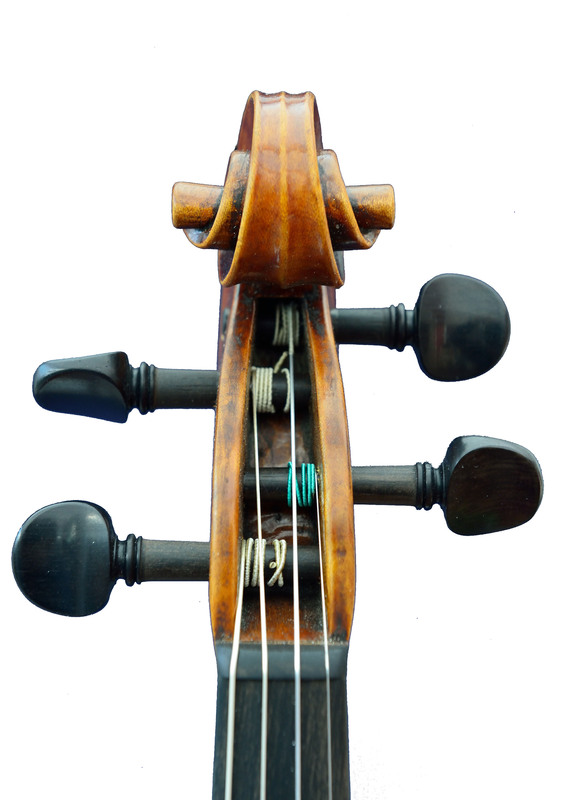 Just as the old masters managed to create beautiful sounding instruments without technologies that describe, however not explain, what works nor advise what to do. 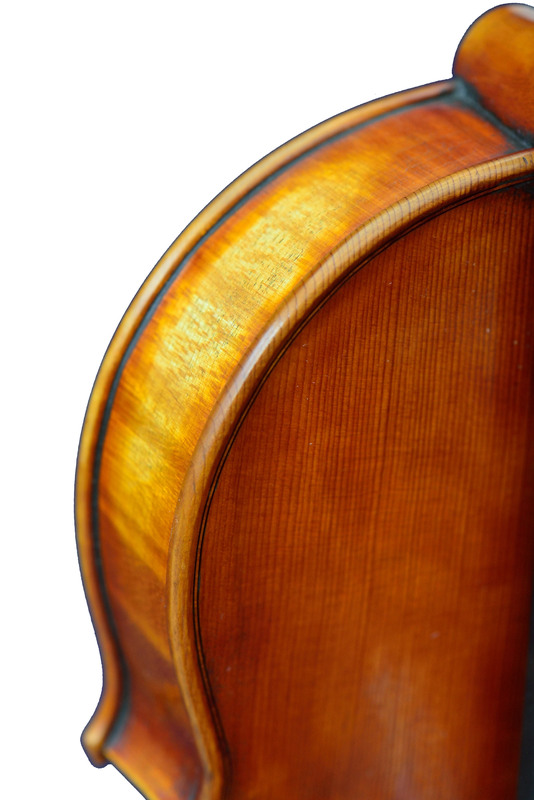 The proof is in the resulting violins, violas and cellos. 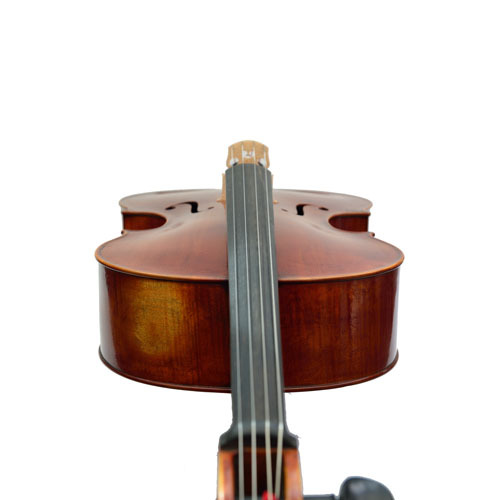 Below you can find images of some of his instruments. 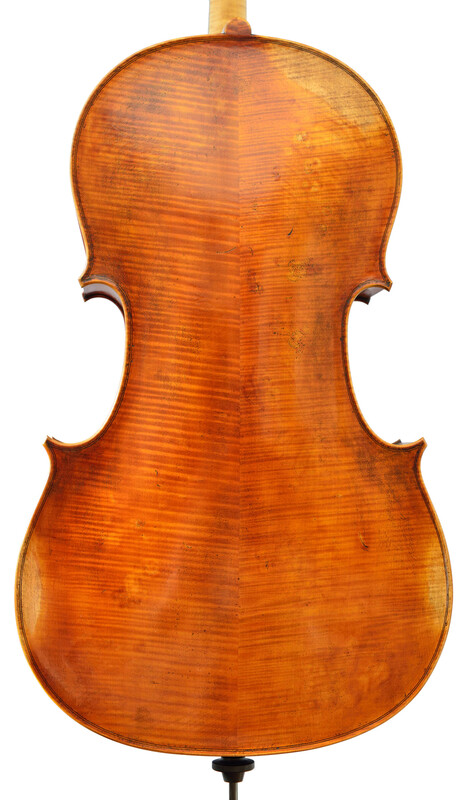 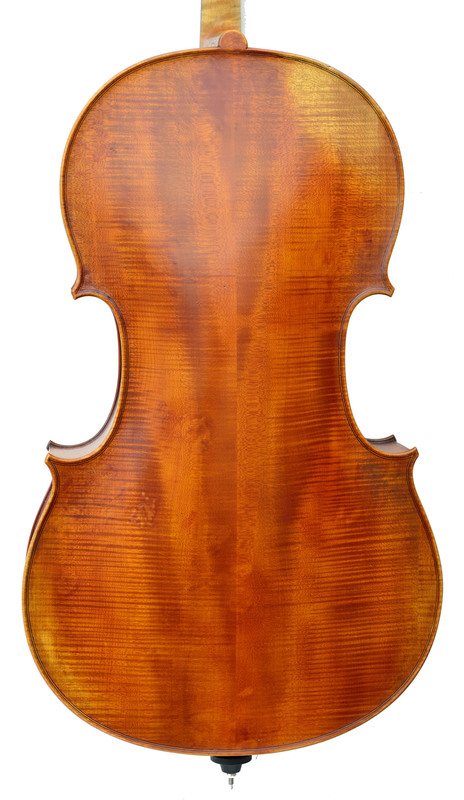 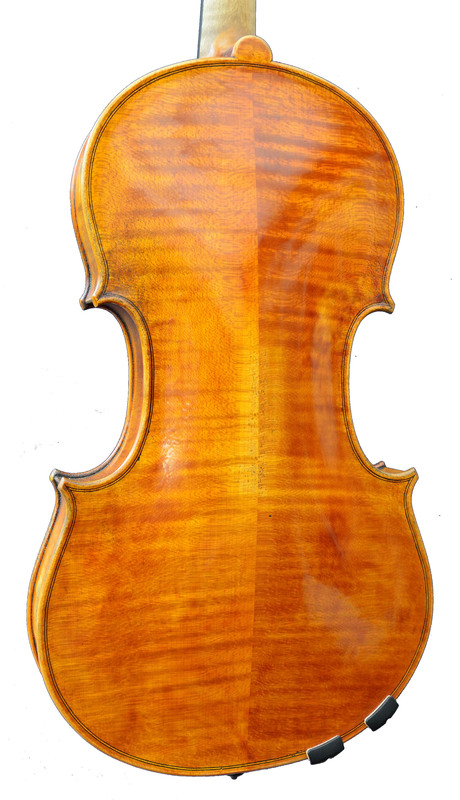 Violin Guarneri dell Gesu 1737 "Turkish"
Hans-Peter den Daas was born in 1965 in Meppel where he followed primary and secondary education. 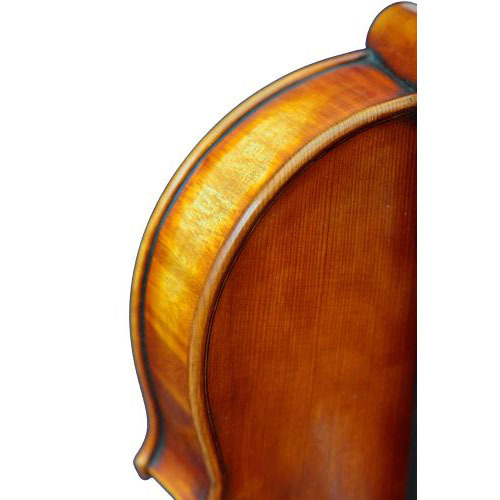 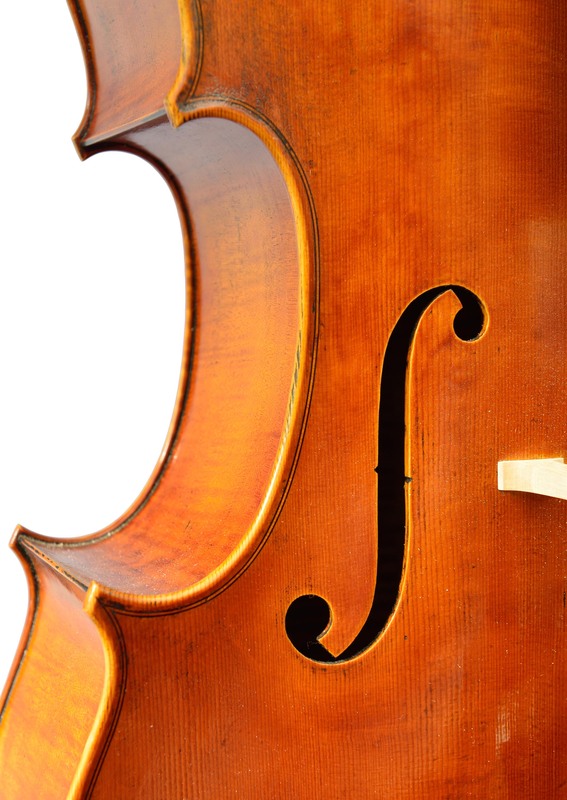 The local school for music in Meppel provided 10 years of cello lessons and the opportunity to play in many chamber music ensembles as well as in the youth orchestra. 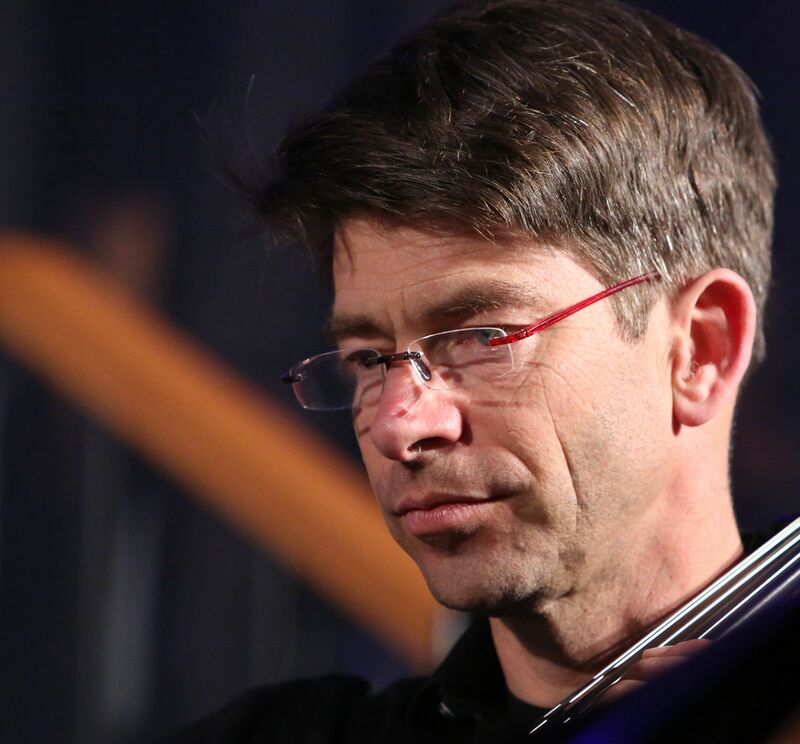 He moved to Utrecht for a study in chemistry that resulted in a doctorate in physical chemistry in 1994. 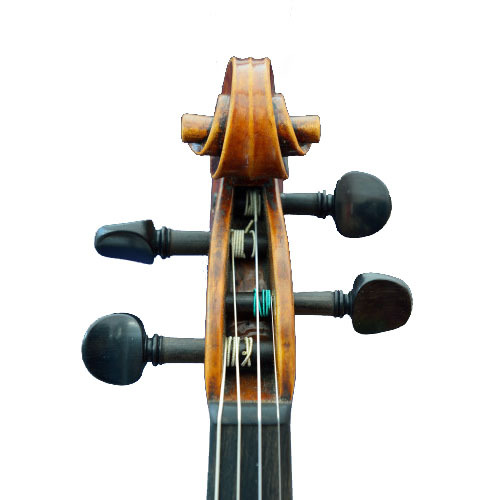 Alongside the academic work there was music (USKO: JS Bach Johannes Passion, Mattheus Passion Messe in H moll and also modern composers) and mountaineering. 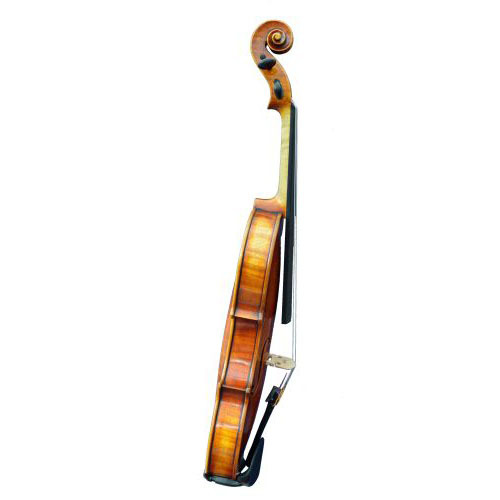 The first 20 years of his professional life he worked in the field of product development, product and strategic product marketing management for Océ. 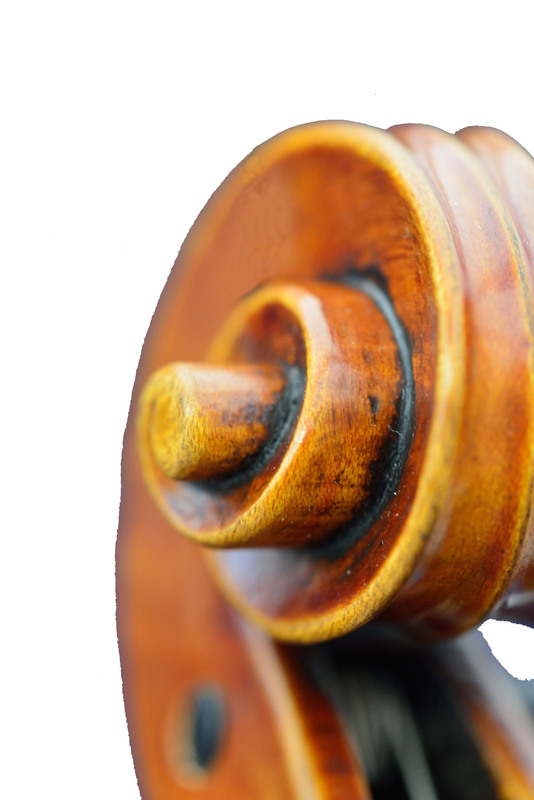 From 2010 he picked up the cello again, playing in various local ensembles and (project) orchestras. 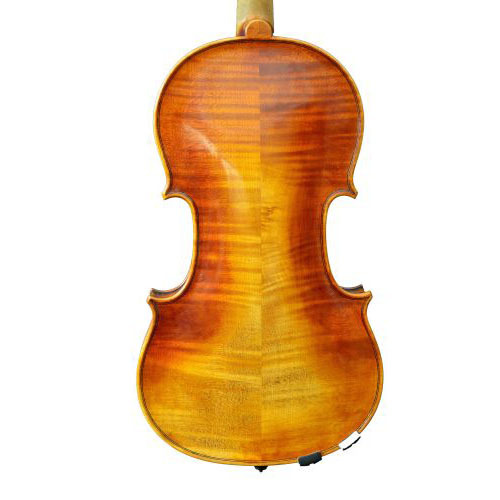 A long cherished drive to build his own instruments evolved into a traineeship with Bernhard Zanders, a befriended luthier in Hinsbeck Germany. 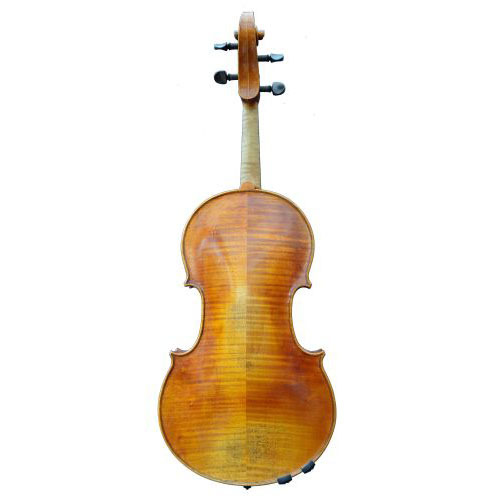 He taught Hans-Peter everything from how to sharpen tools, how to select the correct wood, how to use the right tools to build great sounding and good looking instruments. 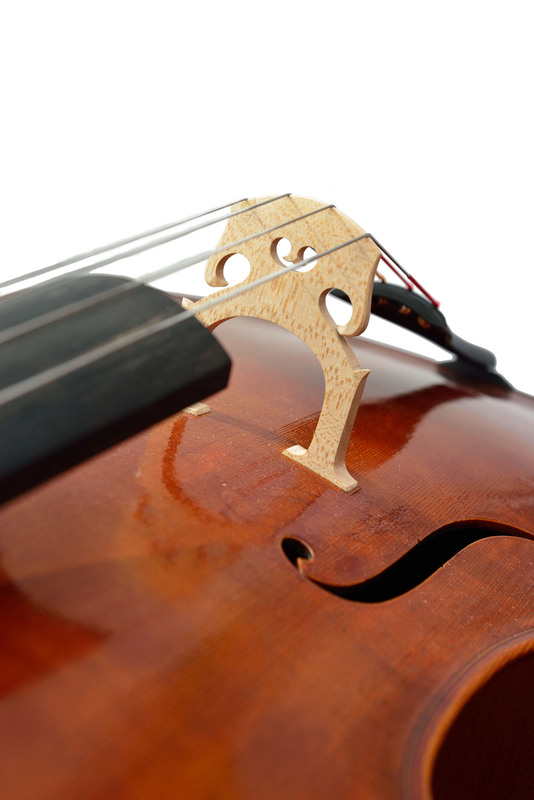 One on one education from an expert is a great learning experience. 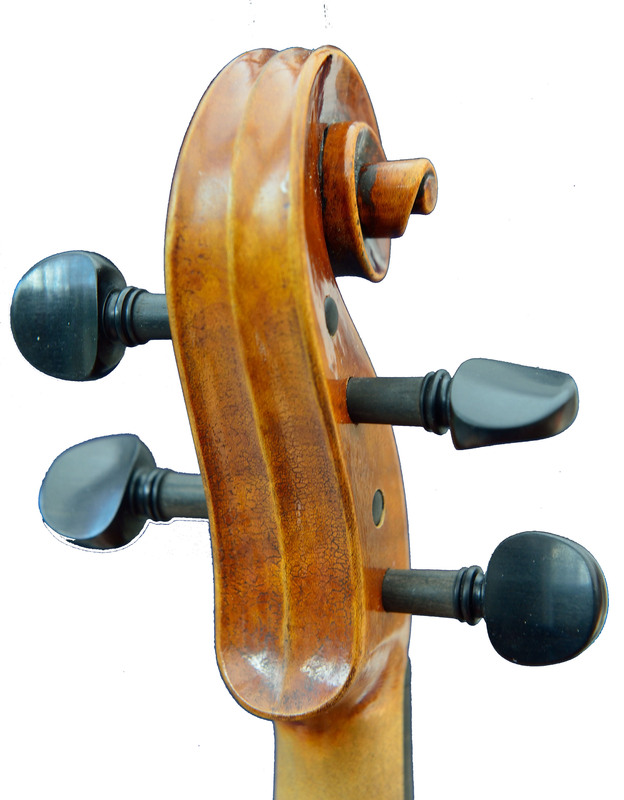 The results of the first instruments convinced Hans-Peter to make the move to fulltime luthier. 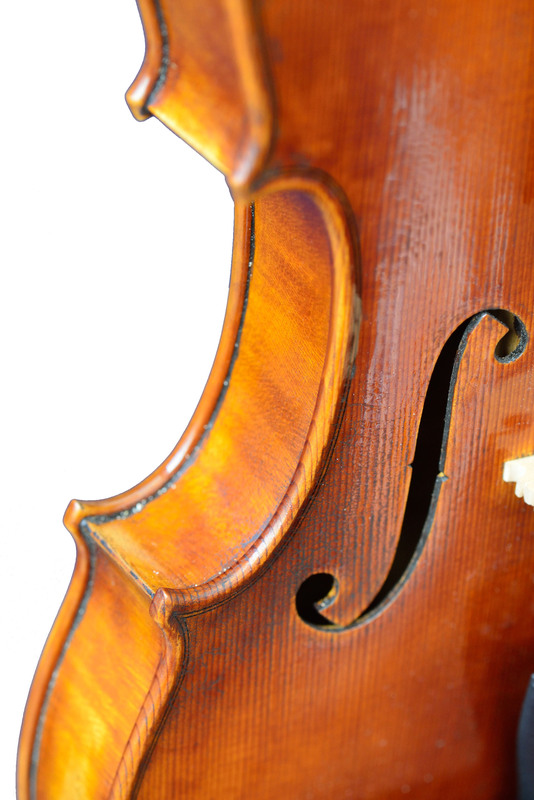 The reactions of (professional) musicians and colleagues in the filed supported this decision. 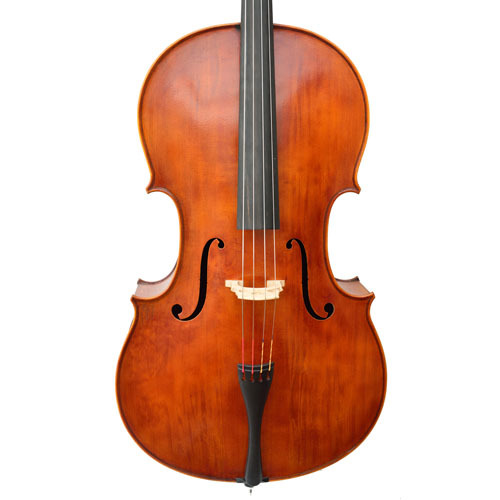 Building his first cello and the ability to play on it is a dream come true. 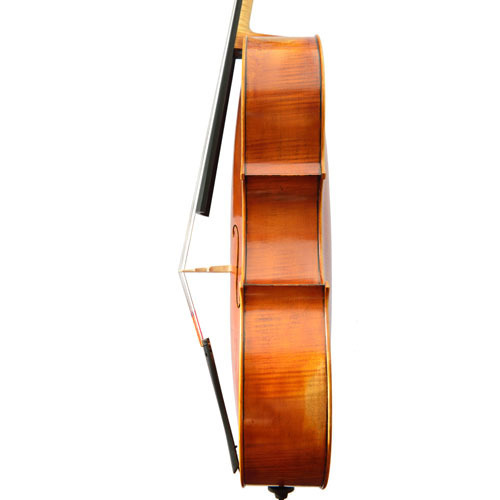 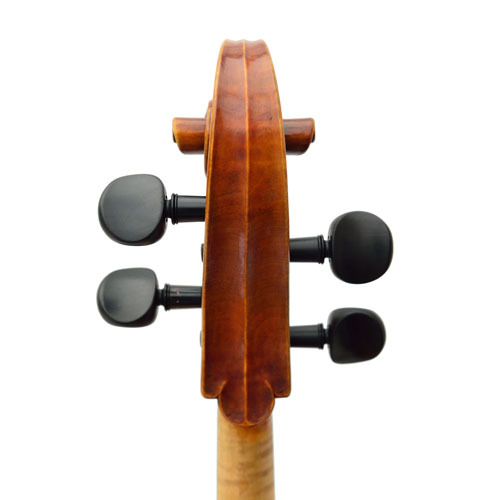 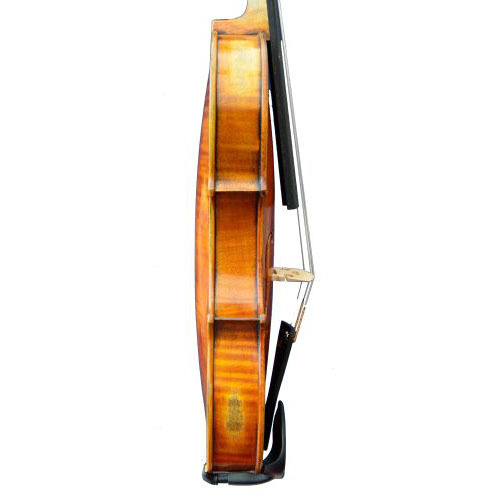 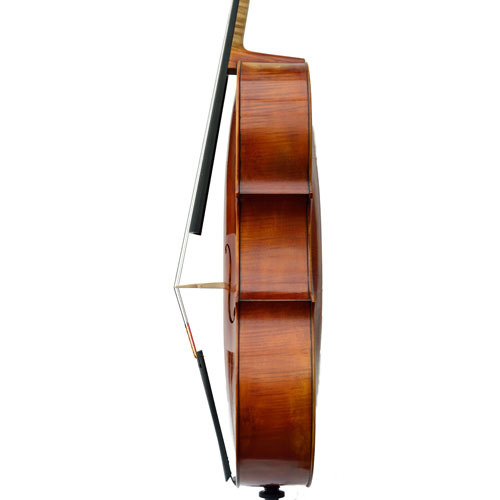 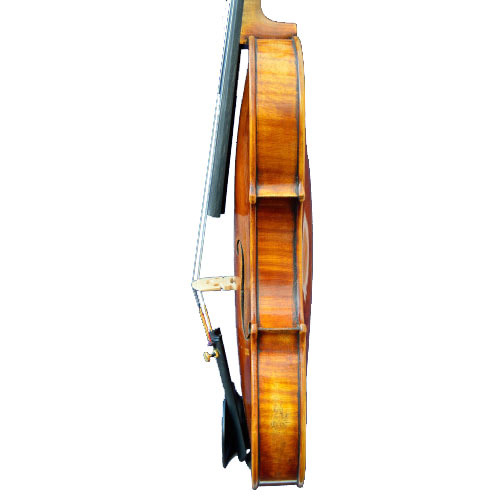 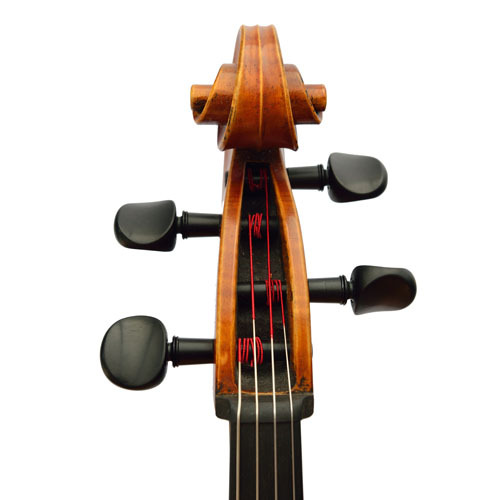 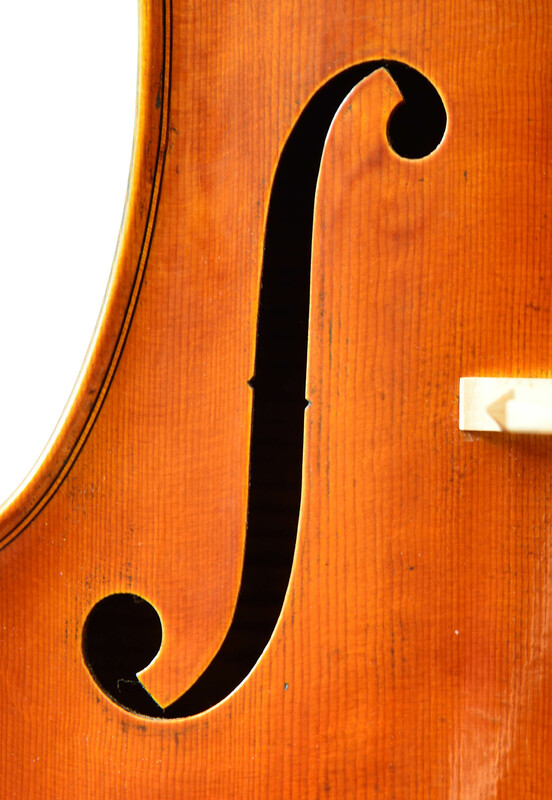 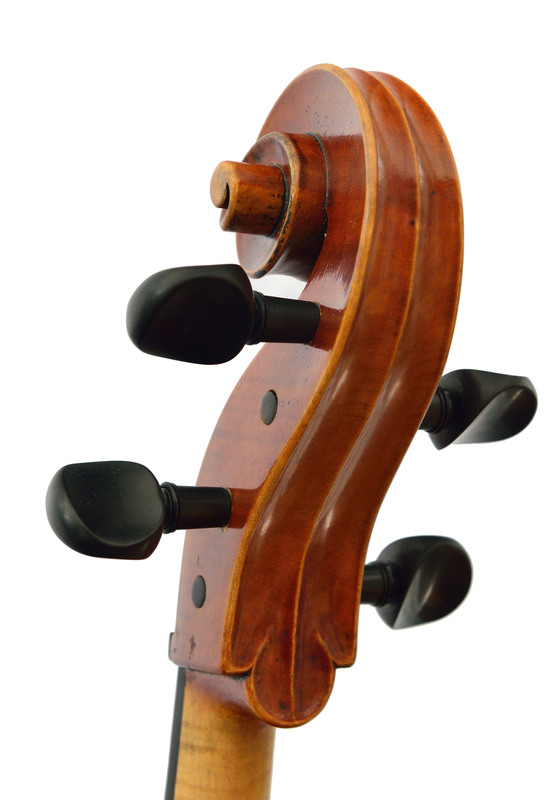 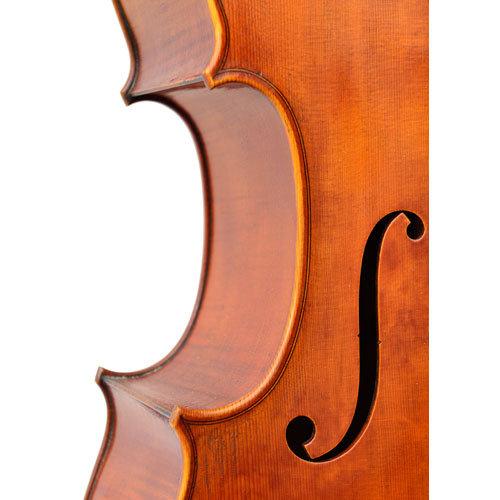 Hans-Peter will present this instrument and the second cello –which is even better- finished in September 2018 on the Cello Biennale October 19 – 27 2018, in Amsterdam. 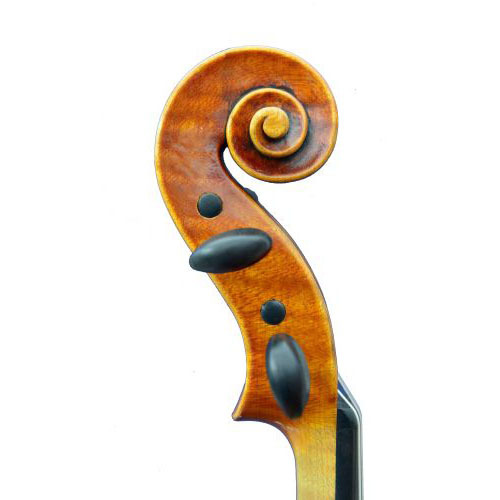 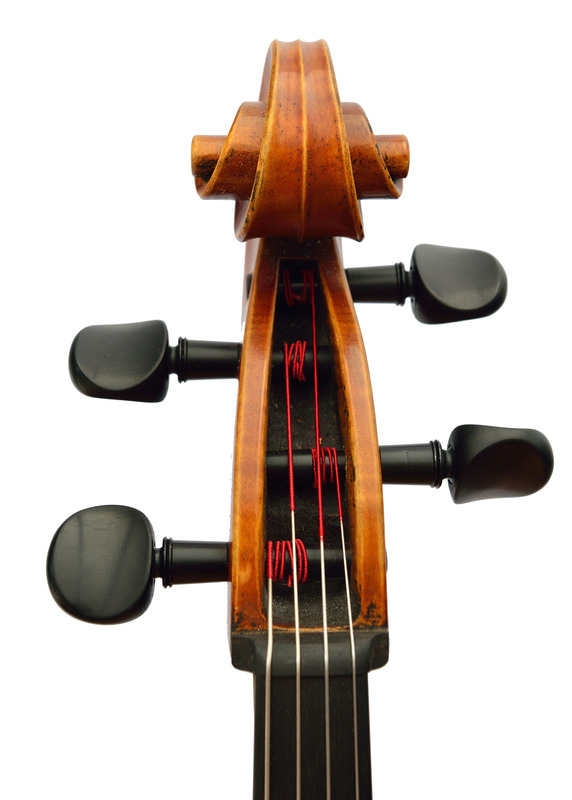 Hans-Peter’s instruments are branded with the image of a horsefly. 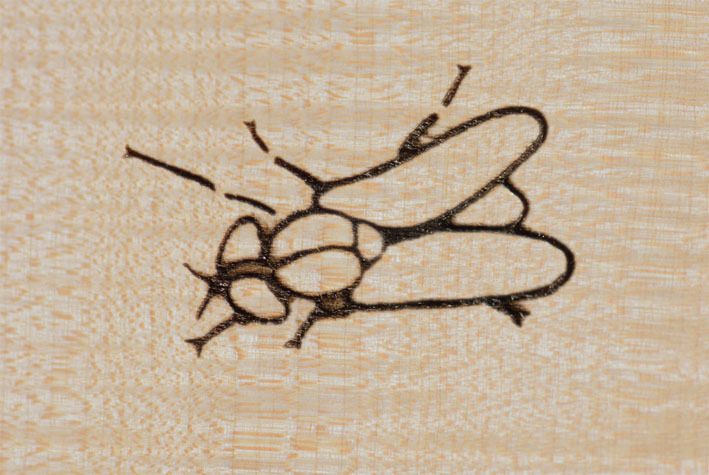 The Dutch name for this irritating insect is “daas”, which happens to be his last name, although there is no relation between his last name and a horsefly. 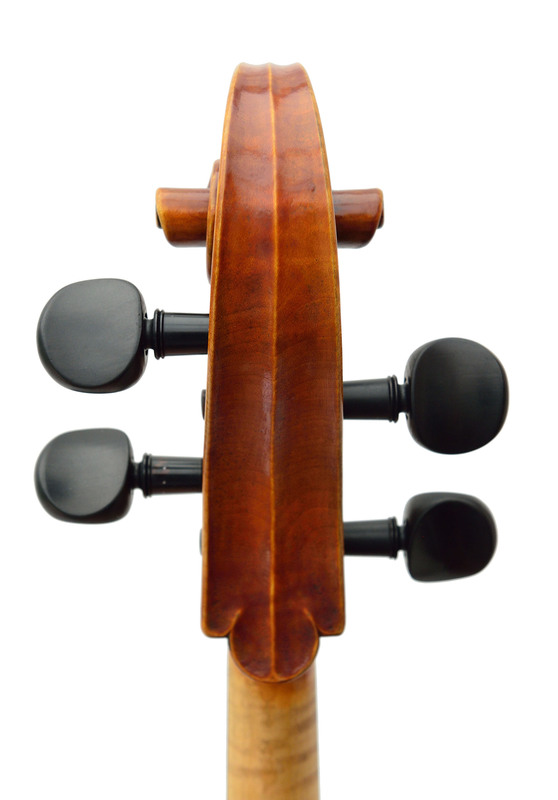 The brand mark can be found inside the instrument on the back plate visible through the f-hole alongside the label, on the top plate and on the neck block. 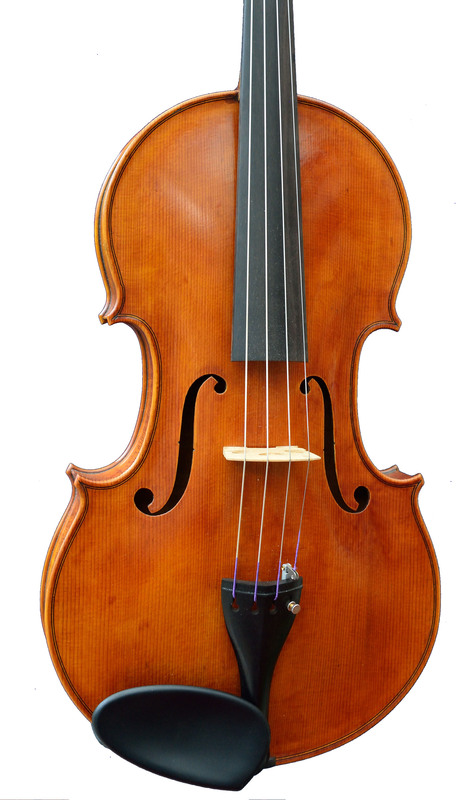 Den Daas Vioolbouw is located in Beesel (Limburg). 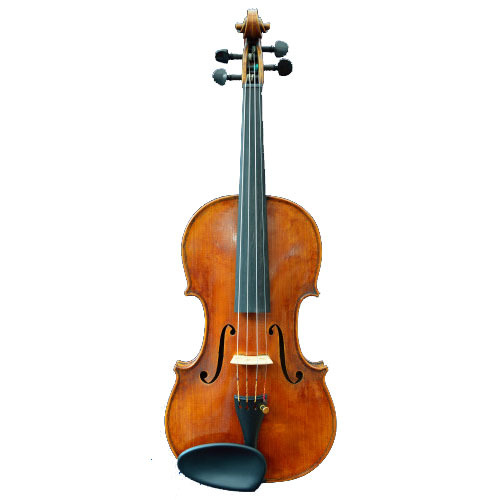 Visit and trial of instruments on appointment.